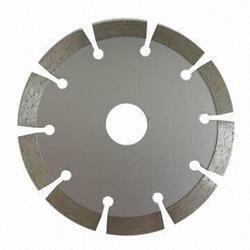 Chrome vanadium steel built segmental circular saw blades help to minimize repair costs.These are made with hardened toothed segments rivited to the periphery. This construction makes it possible to repair a segmental saw blade after heavy tooth or segment damage, by simply replacing one or more segments. We produce segmental circular saw blades in diameters from 250 mm to 1610 mm in various tooth profiles. Looking for CIRCULAR SEGMENTAL SAWS & SPARE SEGMENT ?